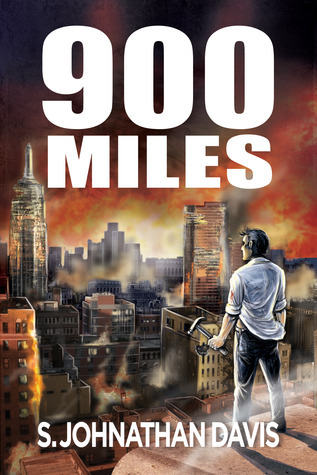 900 Miles by S. Jonathan Davis was one of the more entertaining zombie stories that I’ve read so far this year. The story won me over at the very beginning: instead of a long set-up, or several pages without any undead action, Davis gets down to business right away. The main character, John, is attending a meeting in New York when a viral outbreak occurs. Of course, no one believes it – until everything falls apart outside of their office building. Even then, the survivors don’t realize just how bad the situation is, until the infected find a way in. The storyline follows John’s attempt to get back to his wife, and doesn’t try to explain anything about the undead or the source of the infection, which I found to be a more realistic view of a global epidemic. I really liked the characters John and Kyle; John is an office worker, and Kyle is a security guard for the building, and they form a two-man team right away, as the rest of the people in their group get themselves killed pretty quickly. 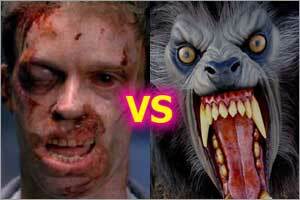 It’s been a long time since I actually cared what happened to the people in a zombie story. One reason is that I appreciated the dry humor that appeared from time to time…I know I shouldn’t laugh when someone is getting their finger cut off, but the victim’s reaction to his captor made me laugh out loud. I’m sure it wasn’t funny to the characters in the scene, and I feel bad when I find parts of a serious zombie novel amusing, but the people in the story had quite the way of expressing themselves. I also laughed at John’s inner dialogue – nothing like sarcasm to get a person through a crisis with his sanity still intact. I thought the story was pretty original (something that is getting more difficult to accomplish with the ever-expanding zombie genre), but one of the major fight scenes seemed too much like something I have seen on the Spartacus series. I seriously expected Gannicus to show up & gladiator kick some undead. The similarities kind of ruined the momentum for me, as well as the abrupt ending soon after, but I can’t remember the last time I was that engaged while reading a zombie story. Davis definitely knows how to entertain the zombiephiles. I am looking forward to the sequel.